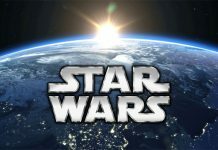 Play Star Wars slot games on your mobile device. 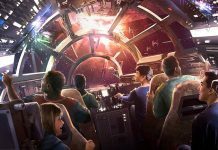 Will Star Wars: Rise of the Resitance Be The Most Ambitious Attraction Ever? 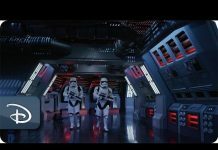 Forbes compares Star Wars: Rise of the Resistance to the Queen song Bohemian Rhapsody; in that Disney have ditched a three minute ride for a magnum opus! 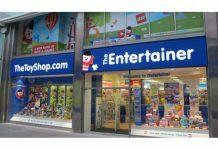 The Entertainer has revealed a surge in profits over the Christmas period in the UK. The Entertainer has doubled the amount of containers it usually brings into the UK to ensure they have plenty of stock after Brexit. 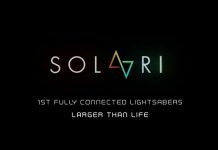 French company Solaari are previewing their WAAN combat lightsaber at CES 2019 in Las Vegas and it's impressive, most impressive! 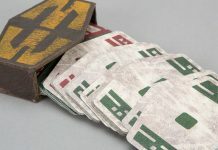 2019 Is Here – Are You Ready For The Bonanza? 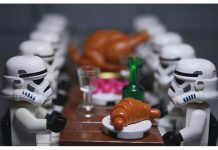 It will be a year long remembered. 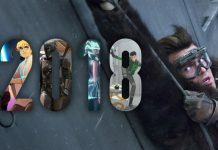 The writers over at the official site at StarWars.com discuss the year's biggest releases and moments. Traditional tree toppers need not apply. 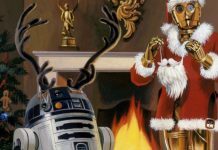 Have a very Merry Christmas from Team Jedi News! 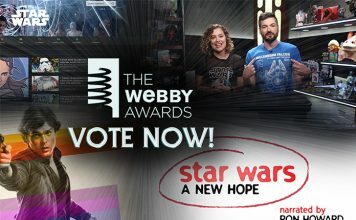 2019 is gonna be EPIC, but this past year was no slouch for Star Wars fans either. 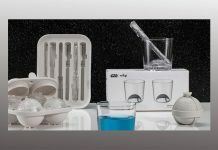 As they say on their website - "master the galaxy in your own home kitchen." 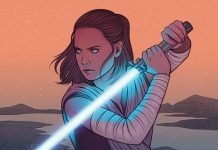 While attending the Gotham Independent Film Awards, Adam Driver was asked about Episode IX. 22 years and as strong as ever. 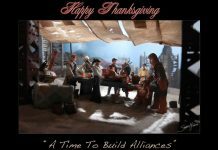 Hayford works his magic again on turkey day. Mark Hamill sets the story straight and how he got his audition for Star Wars (and it wasn't on Elm Street). 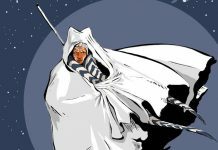 The EU Commission has extended its deadline for reviewing the takeover bid by Disney for Fox from October 19th to November 6th. 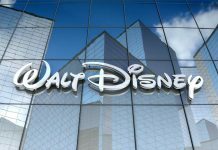 The Walt Disney Company announced Thursday that it was donating $1 million to aid in relief efforts for Hurricane Michael. Here's the video from last Friday's SYFY WIRE Live Stream from NYCC in full featuring Steve Evans & Patrick Schneider from Hasbro (from 6:59 to 7:25). 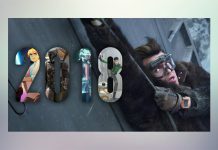 A bonus feature on the Target exclusive 4K Blu-ray of Solo offers a special look at the Millennium Falcon ride coming to Galaxy’s Edge next year. 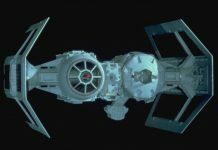 The team at Wired.com look at physics behind Star Wars, in particular the introduction of the TIE Bomber in The Empire Strikes Back. 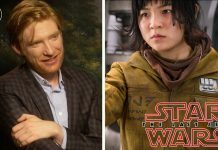 General Hux actor Domhnall Gleeson shares some thoughts on those behind the attacks on Kelly Marie Tran, and also The Last Jedi backlash.